The RORC CARIBBEAN 600 is an exciting offshore race organised by the Royal Ocean Racing Club and Antigua Yacht Club. 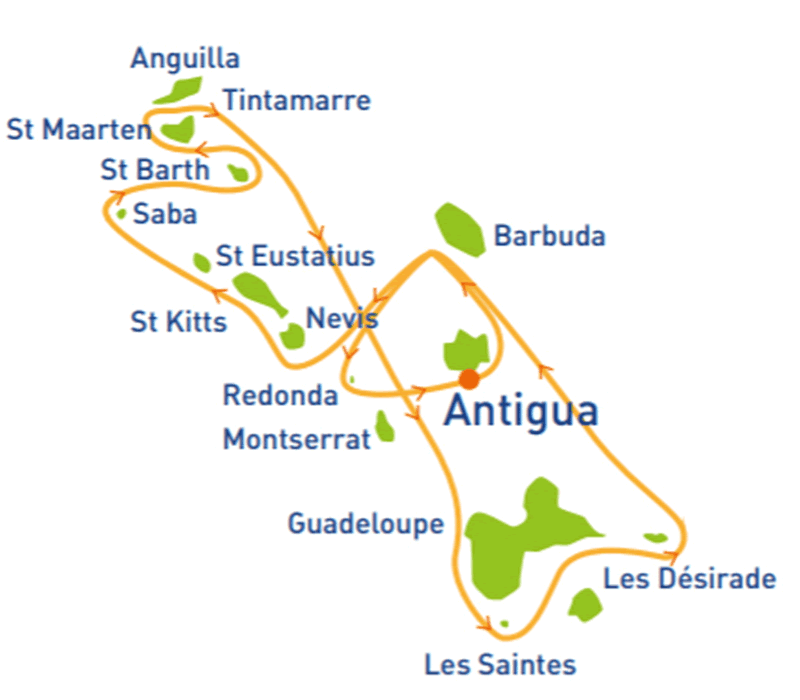 Now in its eleventh year, it was the first offshore yacht race to circumnavigate the Caribbean Islands. The Caribbean 600 campaign will run over eight days. The team will train and prepare for two to three days prior to the race start outside Falmouth Harbour on the south coast of Antigua. The race itself will be a very competitive three to four days with a good past record of results for us to match or exceed, before finishing back at Falmouth Harbour! Racing experience prior to the RORC Caribbean 600 is not required as our training programmes are designed by professional offshore racers with rack records in top level worldwide races and they will coach all team members in their roles on the racing yacht ensuring everyone makes a valuable contribution to the team effort.